Performance Chalk Art - LIVE! Celebrating 20 Years! 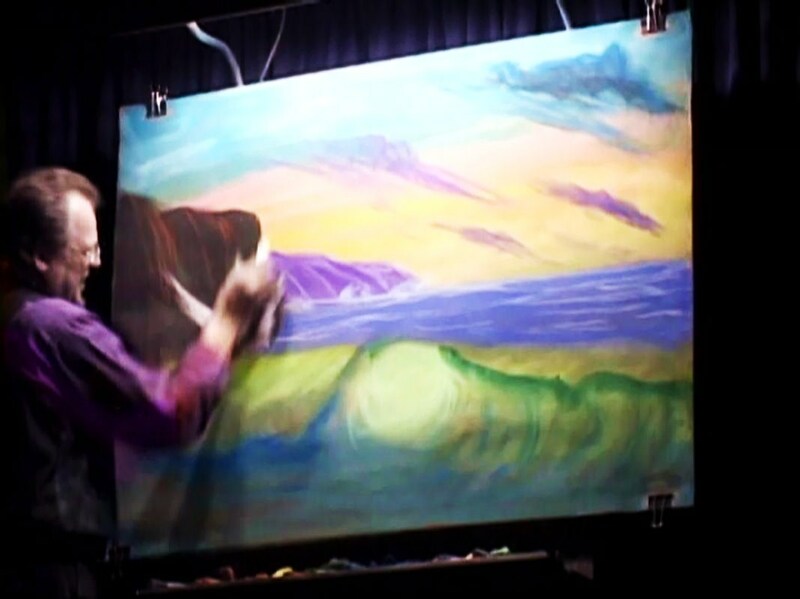 PEOPLE ARE GENUINELY mesmerized while watching an artist create something in live performance — especially if it happens with speed, showmanship, humor, and a magical surprise. Here are web sites I have created to promote and document this fascinating art form - which was originally developed as a method for Christian ministry. Enhanced by a musical or story soundtrack, this performance art is highly customizable. See my YouTube channel for video samples. We partner with ministries to provide special services and pulpit supply you can trust. This FREE e-magazine is devoted to inspiring those who use chalk art for ministry, education and fun. Currently in hiatus, but some back issues are still available in print. Read-only issues are also available to read HERE. There is also a Facebook fan page. Browse the Internet's only historical archive of chalk art material. This is a massive compendium with free downloads available. This podcast site features interviews with some of the best chalk artists in the world. Free downloads available. This forum exists to help chalk artists connect and learn from each other. "Where chalk talkers meet to talk chalk."